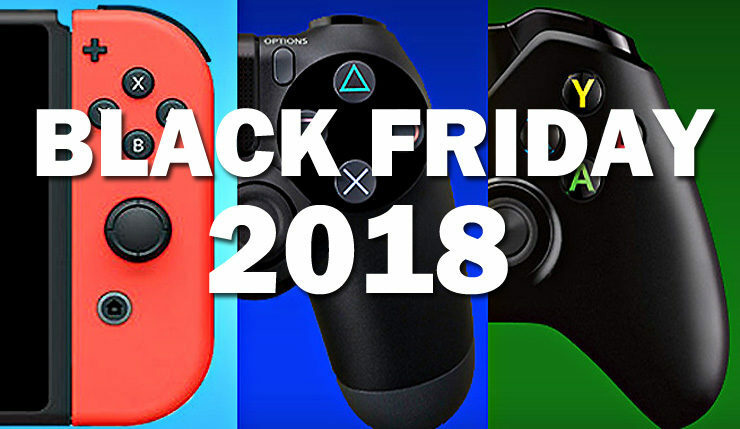 Black Friday is almost upon us, in fact many retailers will be opening their doors Thanksgiving evening, and this year the big console makers are and retailers are offering some of their best gaming deals ever. Wccftech has posted a variety of Black Friday deals over the past couple weeks, but for those who haven’t been keeping up, here’s a roundup of all the offers. Here are the deals being offered by the big three console makers. These bargains should be available at pretty much every major retailer. Sony’s big deal of the season is a Spider-Man 1TB PS4 bundle for only $200. They’re also offering PlayStation VR bundles for $200, and DualShock controllers for $40. Sony’s Black Friday offers are available until November 26. Get the full rundown on Sony’s deals here. Microsoft is countering with a Minecraft 1TB Xbox One S bundle for $200. The Xbox One X has also been reduced for $400, and all Xbox One Wireless Controllers are $10 off. Microsoft’s Black Friday offers are available until November 26. You can get the full rundown on Microsoft’s deals here. Nintendo usually isn’t one for sales, but they are offering a Mario Kart 8 Deluxe Switch bundle for $300 (a $60 discount) and a Super Mario Maker 2DS bundle for $80. Nintendo Labo building kits are also are two for $99 at Best Buy. Nintendo’s Black Friday offers will be available “while supplies last.” Get the full rundown on Nintendo’s deals here. In addition to the standard Sony, Microsoft, and Nintendo deals available everywhere, some of the big retailers will also be offering their own hardware and software deals. GameStop is offering Fallout 76 and NBA 2K19 Xbox One X bundles for only $429 and pre-owned Nintendo Switches for $250. Game deals include Call of Duty: Black Ops 4 for $38, Spyro Reignited Trilogy for $30, and Overwatch Legacy Edition for $20. Get the full rundown on GameStop’s deals here. Best Buy is offering some great deals on games, including Far Cry 5, Final Fantasy XV Royal Edition, Monster Hunter: World, NieR: Automata, and The Crew 2 for $20 apiece. Forza Horizon 4 is also only $30. Get the full rundown on Best Buy’s deals here. Walmart has Rainbow Six Siege and MLB The Show 18 for only $17, and Assassin’s Creed Odyssey, Kirby Star Allies, and Donkey Kong Country: Tropical Freeze for $35. Get the full rundown on Walmart’s deals here. Amazon is offering some unique deals for PC gamers, including an Elgato Stream Deck Mini for $80 and Logitech G502 Proteus Spectrum gaming mouse for $35. Game deals include PUBG for $18 and Bulletstorm: Full Clip Edition for $12. Get the full rundown on Amazon’s deals here. Of course, the PlayStation Store, Microsoft Store, and Steam are also offering a ton of enticing discounts on digital games. Sony is offering up some great deals on their first-party titles, including Spider-Man for $40, Detroit: Become Human and God of War for only $22, and Nioh for $16. On the third-party front, Red Dead Redemption 2 Special Edition is $69, Persona 5 is $20, and For Honor and Tom Clancy’s The Division are $10 apiece. Get the full rundown on the PlayStation Store’s deals here. Microsoft is also offering up deals on first-party titles, including Gears of War 4 for $10, Sea of Thieves for $30, and State of Decay 2 for $19. Shadow of the Tomb Raider is also only $30 with XBL Gold. Get the full rundown on the Microsoft Store’s deals here. Steam is offering some nice deals on PC exclusives, like Frostpunk for $20, Pillars of Eternity II for $30, Total War: Warhammer II for $30, and Age of Empires II HD for $4. There are also plenty of cross-platform deals, including Middle-Earth: Shadow of War for $14, Civilization VI for $18, and Cities: Skylines for $7. Get the full rundown on Steam’s deals here. There you have it – a full overview of the deals available this year. Who’s offering the best Black Friday bargains this year? What are you planning to pick up?